In the relatively new world of church security there are lots of questions about what the appropriate role is for volunteer church security personale. We get questions all the time regarding the liability associated with assuming this role along with questions about how much intervention is permissible for church security. Noelle Moeggenberg, who currently serves as the Grand Traverse County Prosecuting attorney will be present with us May 11 to answer these and other questions. All are invited to attend to hear what she has to say and get your personal questions answered. We will be meeting May 11th at East Bay Calvary Church in the Outpost room in the lower level from 10-12 to talk with Noelle. If you would like to join us before the event, Dr. Steven Bucci will be leading us in a devotion and discussion from 9-10. Cost for the 9-noon morning is $25 which covers the room rent and refreshments. You are welcome to come to just the 10-noon session with Noelle if that is your preference. Since we will be together already we are planning to have lunch together at East Bay and then work on some physical training tactics dealing with combative indivduals from 1-3. This session will be led by the Covenant Defense training team. Our mission is to facilitate Covenant relationship between God and mankind while defending against disruptive threats. Through our interactions with people and the ongoing support of the CDCN we empower people to protect life, preserve independence, engage in our community and embrace Covenant relationship with God. Instead of offering a regular weekly class option we are inviting you to get some of your friends together that want training and let us know how we can customize a class focused on your particular needs. 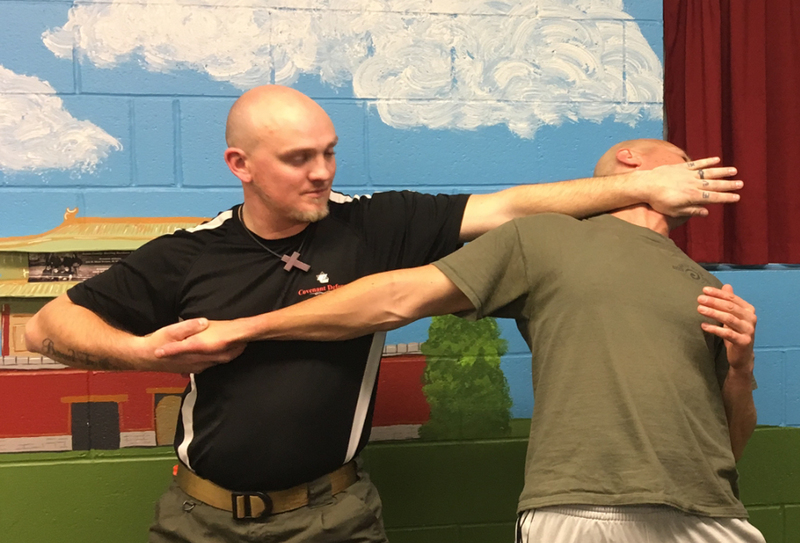 Our training offers a combination of awareness and surveillance, Krav Maga, security concepts, CQB, and defensive firearm skills. We welcome opportunities to share our passion about what we do and why do it. We understand that we are somewhat unique in our mission and often the best way to get engaged with us is an interactive discussion. We have enjoyed invitations to present to churches, schools, and organizations and are happy to fit our presentation to your specific needs and interests. Subjects we often speak on include threats facing the United States, the role of the Church in our current times, basic awareness and self defense, faith based preparedness, and God's design for Covenant relationship with us. We offer security consulting customized for your organization. This is provided by Dr. Steven Bucci and Colby Taylor working together to provide an assessment, a plan and implementation of suggested training. 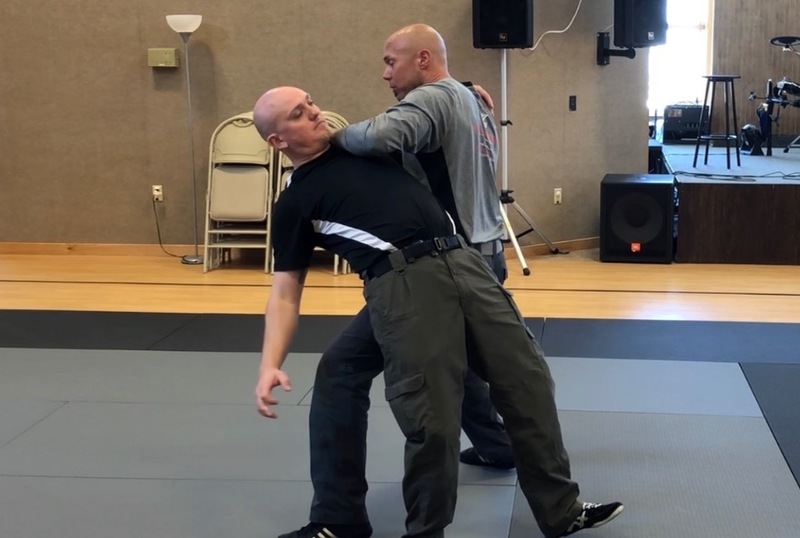 We are excited to partner with our law enforcement community in providing training dealing with topics such as restrain and control techniques, edged weapons, Krav Maga, defensive tactics, CQB, and advanced firearms training. We have developed our firearms training curriculum to provide skills in the areas that are most needed in self defense situations. We utilize professional grade airsoft guns in much of our training to create the most realistic and safe environment. We feel many of the most important skills needed when using a firearm as a defensive tool involve understanding when it is the appropriate tool, weapon retention, proper gear selection, being proficient with movement and blending of martial skills with firearm useage. This is where you get ongoing support for the skills, the mindset and the community that assists you in staying engaged in the culture we are creating with Covenant Defense. "Very friendly and informative with great teaching technique"
"All were very knowledgeable, excellent on presenting the info"